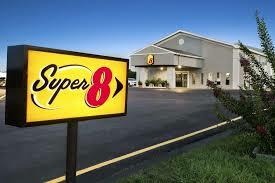 The Super 8 Motel features a 24 hour front desk, Super Start breakfast, free HBO, ESPN, CNN and 36 other channels. Free parking and local telephone calls are available and guest laundry is open from 9am to 9pm. The motel is only minutes away from area attractions.